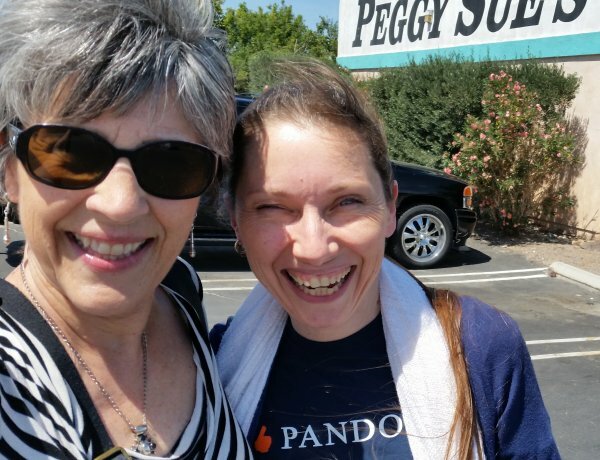 Connie and Liz de Nesnera on the way to the workshop – Peggy Sue’s 50’s Diner. I just got home from a weekend workshop in Henderson (just outside Las Vegas) with Marice Tobias. It was an all-woman workshop with 10 working pros held at Melissa Moats new voiceover studio The Voice Actors Studio. Marice does this same thing with all men and also co-ed. The women’s workshop is usually – OK, pretty much always – a lot more emotional therapy along with the voiceover component. It was a wonderful weekend for many reasons and I think it has shown in the auditions and the projects I have done since getting back to my studio on Monday.